10 easily accessed long-term private parking places are available at CIRC - directly adjacent to the NUI Galway campus; 600m (5-7 mins) from UCHG; 1.1K (10-15 mins) from Eyre Square / Lynches Castle. Only €450 / year. To book, contact 085 160 4016. 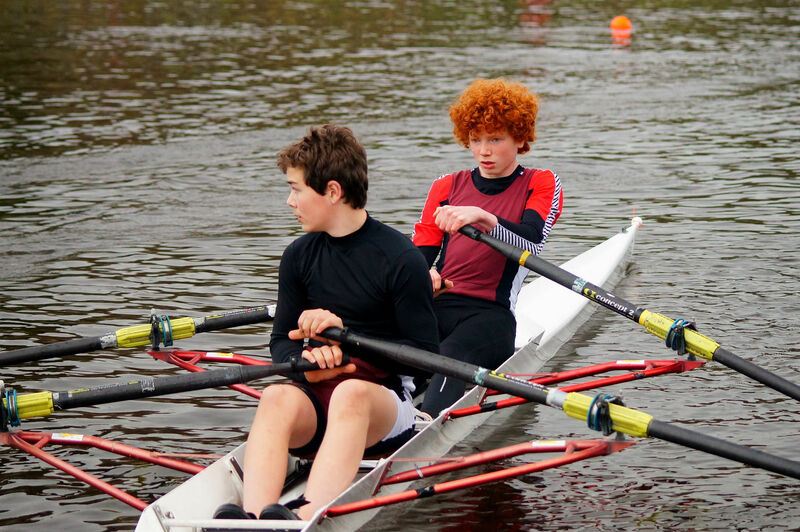 The first event of the regatta season took place in Islandbridge, Dublin on Sat. April 7th. The Neptune regatta takes place on a narrow river, with barely enough room for 2 racing lanes and another for crews to row up to the stake-boats. Because of this, the regatta is run Henly-style: a series of 1-on-1, knockout races. 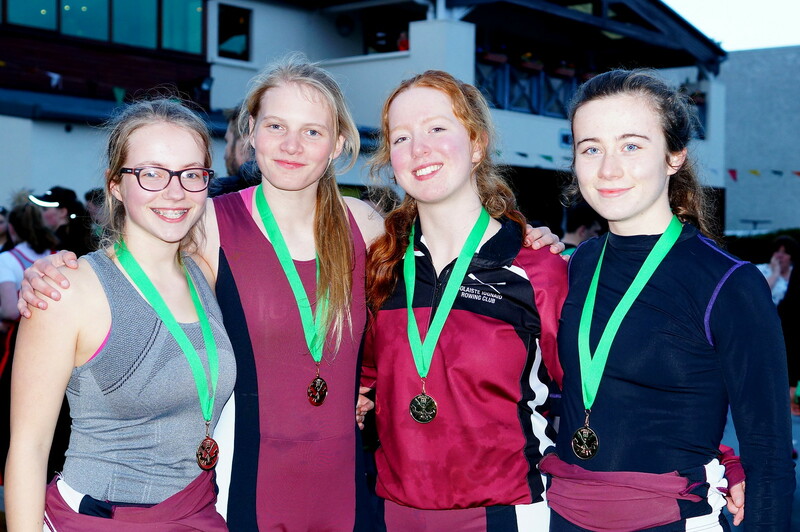 Due to the number of races that need to be run, some of the heats (those involving Leinster rowers) take place on the Friday but the majority of racing happens on Saturday. The Club had many great performances with many crews having exceptional rows if not always victory. At two very busy regattas with racing stating at 8am and not finishing until 8pm, the Jes recorded many notable performances. Mens Junior 18 Coxed Four: Thomas Hume, Sam Reidy, Mark Ryder, Caoimhin Conway. Cox Niall Martin. Mens Junior 18 Coxless Four: Daire Elberese, Ruairi O’Gorman, Fionn Ryan, Tom Mc Guinness. Mens Junior 16 Eight: Mark Ward, Oliver Kelly, Aaron de Burca, Eamon O’Toole, Eamon Gallagher,Ultan O’Toole, Niall Cahalan, Alex Morales Glynn. Cox Paul Tannian. Mens Junior 14 Double: Felix O Neill, Tom Maye. 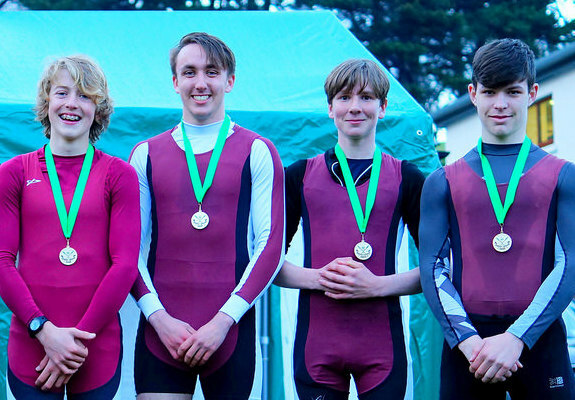 Mens Junior 15 Coxed Quad: Tom Maye, Felix O’Neill, Niall Martin, Sam Ryan. Cox Fiachra Gallagher. There were some very close seconds for both the Womens and Mens Junior (under 18) coxed 8's. The shorter than usual course (1120 metres instead of 2K) caught both crews out - they both left their builds a little too late and were gaining on their competition but the finish line came just a little too early for them - they both crossed the line approximately 1 metre behind the winners. Mark Ryder finished less than half a second behind the eventual winner of the J18 single sculls, in what was the fastest Junior 1x race of the day. His opponent's first heat had taken place the day before, whereas Mark's was earlier that morning, and Mark's regrettable (but understandable) decision to swerve out of the way, to avoid a collision, when the Dublin rower took a short-cut into Mark's lane on a corner, cost Mark valuable seconds.